For wine-o-philes looking for something different, Israeli wines might just be the best discovery you’ll ever find. Sure, the Holy Land is known for religion, but it’s also one of the birthplaces of the wine industry too. After all, grapes have been a part of this area for centuries. 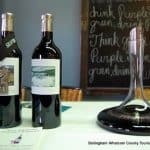 With roughly 400 wineries in the country right now it’s an industry that will accommodate any wine lovers vino desires. There are five wine regions in Israel; Galilee-Golan, Shomron, Samson, Judean Hills and Negev and since the 1990s the wine yield has been about 70 percent white and 30 percent red. The most popular varieties include Cabernet Sauvignon, Chardonnay, Merlot and Sauvignon blanc. However, in recent years Cabernet Franc, Gewurztraminer, Muscat Canelli, Riesling and Syrah have also began to steal the scene. Here’s a quick look at the country’s five regions to explore along with a few recommended winery stops along the way. Starting up in the north of Israel, this is my favorite wine region. The Galilee and Golan Heights area is located north of Nazareth and stretches as far up as the border of Lebanon. The Upper Galilee is 2,400 feet and the Golan area reaches 3,600 feet and these high altitudes in this region make for the best grape growing in Israel. In fact, Galilee and Golan Heights is considered the premium wine growing area and a number of wineries from the other regions grow their grapes here in the higher altitudes too. It is also in this region that you’ll find the largest number of vineyards and wineries. There’s everything from the large conglomerates exporting around the world to the small boutique wineries that offer rare finds and suburb taste. 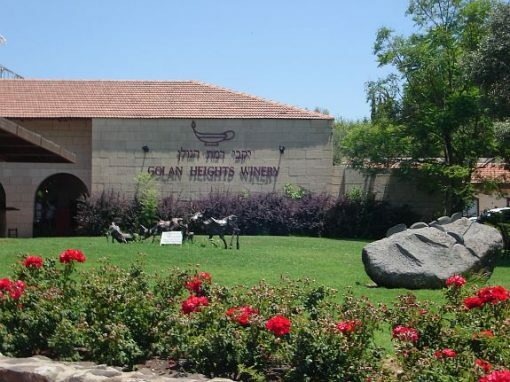 In this region topping my list of “must stops” is the Golan Heights Winery in Katzrin. The Golan Heights Winery also has a large visitor’s center that you won’t find at most of the other wineries in the country so take advantage of it and ask lots of questions. Founded in 1983, Golan Heights Winery produces a number of varietals and some sparkling wines under the labels Yarden, Gamla and Golan. From Cabernet Sauvignon to Chardonnay, to Reisling, Merlot, Syrah and Pinot Noir, this is one winery that has just about all the vino bases covered. Even with the Galilee-Golan region nipping at its heels with its number of wineries, Shomron is still the largest wine-growing region in Israel in land size. 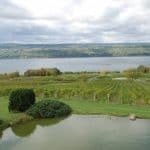 The region includes the Mount Carmel and Sharon wineries, which have been popular for years. Overall land mass stretches from the coast that is located south of Haifa to Tel Aviv. The region is home to over 40 of the varietals you’ll find in the country and it’s so close to the Mediterranean you can enjoy wine and the beach at the same time. Most of the wineries in the region can be found in the valleys near the wine towns of Zichron Yaakov and Binyamina. What really makes this region prime for wine growing is the medium-heavy and limey soil coupled with the Mediterranean warm summers and cool winters. The winery I recommend in Shomron is Carmel Winery since after all it was founded in 1882 by Baron Edmond de Rothschild, owner of Chateau Lafite in Bordeaux, France. Go for the Private Collection Chardonnay. The grapes are grown in the Shomron region and the wine is aged in oak barrels. Not a white drinker? 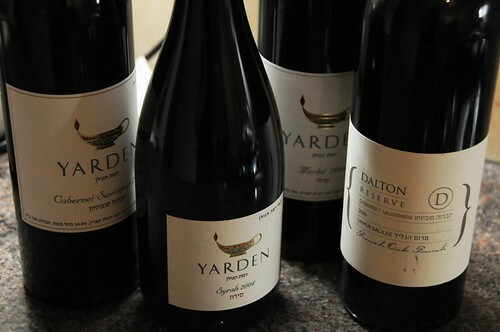 Try the Appellation Carigan Old Vines, a red that is grown from a vine in Zichron Yaakov that’s nearly 35 years old. It’s aged for 12 months in French oak barrels. The Samson region is located just south of Tel Aviv and the Central and Judean Coast. The wineries within this region are compiled into a small area, but the grape growing thrives with over 50 different wines offered each year. A fan of the peppery finish in my wines, this region is perfect for that taste particularly in the Cabernet Sauvignon options. Soil here works well for growing a variety of grapes with the warm, humid summers and mild winters. 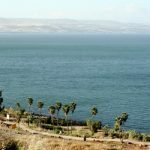 The region’s name can’t go unnoticed either since it was named after the biblical character Samson from the Old Testament who lived in this area thousands of years ago. Many of the wines produced at Carmel Winery in Shomron are grown in this region, but the perfect Samson winery stop is Segal Winery in the town of Ramle. The Merlot Special Reserve 2005 has been a big seller from Segal Winery – the grapes were aged 12 months in American and French barrels and offer a peppery nose balanced with a deep and rich flavor. Near Jerusalem, the Judean Hills is the best region to visit if you don’t have time to spend traveling around the country, but want to visit a few wineries anyway. The wines in this region are generally kosher. Most of the wineries in the Judean Hills surround Jerusalem and sit on hills or in the valleys west and south of the city. Grapes are grown on the terraces of the valleys benefiting from the cool night temperatures and the thin and stony soil making for varieties that include Chardonnay and Merlot. While the region is still up and coming, wineries like Domaine du Castel and Kibbutz Tzora are making a name in this region. At Domaine du Castel Winery, a boutique winery located at Ramat Raziel, check out the Castel Grand Vin, a blend with a majority of Cabernet Sauvignon as well as Merlot, Petit Verdot, Cabernet Franc and Malbec and aged in 100% new French oak for 20 to 24 months. 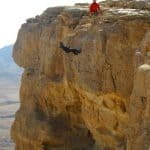 About 60% of the Negev desert is located in Israel, and it extends from the border of Egypt’s Sinai Peninsula to the Dead Sea in the east, and to the port of Eilat on the Red Sea in the south. Some might say growing wine in the desert is a bad idea, but don’t mention that to the wineries in this region. The soil is sandy and dusty and the temperatures hot during the day and cold at night. The vineyards here thrive thanks to technologies that help create top quality grapes. There are over 30 different wines grown in this region. Carmel Winery has vineyards in this area, but other vineyards are popping up too, for example Barkan Winery at Mitzpe Ramon. Barkan offers a wide range of wines overall, but be on the look out for the Cabernet Sauvignon since these guys specialize in reds. Barkan Winery has also pioneered the South African varietal Pinotage in Israel too and that’s no small feat. If you’re looking for a wine destination overlooked by many, Israel would be a wonderful wine adventure. Rita Cook | Rita Cook is a writer/editor with over 1000 articles. She can be heard on Insider Mag Radio at KPRO 1570 am and she also reviews cars for the Washington Times Communities (Behind the Wheel). 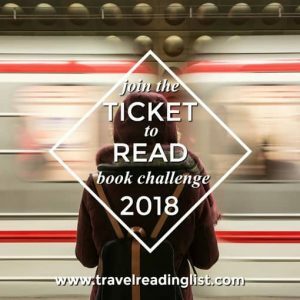 Her most recent published books include "A Brief History of Fort Worth" as well as two haunted books on Dallas and Fort Worth to be published in the fall 2011. Rita's favorite travel destinations are Italy, India and Kenya.